It’s an intricate process through which massive stars lose their gas as they evolve. And a more complete understanding could be just calculations away, if only those calculations didn’t take several millennia to run on normal computers. But astrophysicists Matteo Cantiello and Yan-Fei Jiang of UC Santa Barbara’s Kavli Institute for Theoretical Physics (KITP) may find a way around that problem. The pair have been awarded 120 million CPU hours over two years on the supercomputer Mira — the sixth-fastest computer in the world — through the Innovative and Novel Computational Impact on Theory and Experiment (INCITE) program, an initiative of the U.S. Department of Energy Office of Science. INCITE aims to accelerate scientific discoveries and technological innovations by awarding, on a competitive basis, time on supercomputers to researchers with large-scale, computationally intensive projects that address “grand challenges” in science and engineering. “Access to Mira means that we will be able to run calculations that otherwise would take about 150,000 years to run on our laptops,” said Cantiello, an associate specialist at KITP. Cantiello and Jiang will use their supercomputer time to run 3-D simulations of stellar interiors, in particular the outer envelopes of massive stars. Such calculations are an important tool to inform and improve the one-dimensional approximations used in stellar evolution modeling. The researchers aim to unravel the complex physics involved in the interplay among gas, radiation and magnetic fields in such stars — stellar bodies that later in life can explode to form black holes and neutron stars. The physicists use grid-based Athena++ code — which has been carefully extended and tested by Jiang — to solve equations for the gas flow in the presence of magnetic fields (magnetohydrodynamics) and for how photons move in such environments and interact with the gas flow (radiative transfer). The code divides the huge calculations into small pieces that are sent to many different CPUs and are solved in parallel. With a staggering number of CPUs — 786,432 to be precise — Mira speeds up the process tremendously. This research addresses an increasingly important problem: understanding the structure of massive stars and the nature of the process that makes them lose mass as they evolve. This includes both relatively steady winds and dramatic episodic mass loss eruptions. Called stellar mass loss, this process has a decisive effect on the final fate of these objects. The type of supernova explosion that these stars undergo, as well as the type of remnants they leave behind (neutron stars, black holes or even no remnant at all), are intimately tied to their mass loss. The study is particularly relevant in light of the recent detection of gravitational waves from LIGO (Laser Interferometer Gravitational-Wave Observatory). The discovery demonstrated the existence of stellar mass black holes orbiting so close to each other that eventually they can merge and produce the observed gravitational waves. 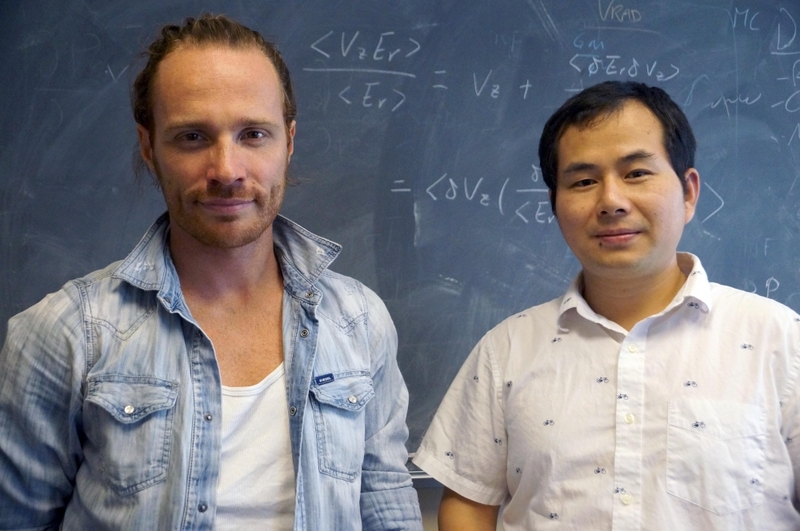 “Understanding how these black hole binary systems formed in the first place requires a better understanding of the structure and mass loss of their stellar progenitors,” explained Jiang, a postdoctoral fellow at KITP. This work is in collaboration with KITP Director Lars Bildsten and UCSB physics professor Omer Blaes as well as two theorists from other institutions, Eliot Quataert of UC Berkeley and Jim Stone of Princeton University. The research is partially supported by the Gordon and Betty Moore Foundation and its implications will extend to broader fields of stellar evolution and galaxy formation, among others.